Hazel Gaynor is a New York Times, USA Today and Irish Times bestselling, award-winning historical novelist, who lives in County Kildare, Ireland with her husband and two children. Her 2014 debut novel The Girl Who Came Home—A Novel of the Titanic hit the New York Times and USA Today bestseller lists, and went on to win the 2015 Historical Novel of the Year award from the Romantic Novelists’ Association in London. Her second novel A Memory of Violets, was also a New York Times bestseller, and her third, The Girl from The Savoy was an Irish Times and Globe & Mail bestseller, and finalist for the 2016 Irish Book Awards. Her 2017 release The Cottingley Secret hit the Globe & Mail and USA Today bestseller lists. Last Christmas in Paris (co-written with Heather Webb) was also a Globe & Mail bestseller, and won the 2018 Women’s Fiction Writers Association STAR Award. 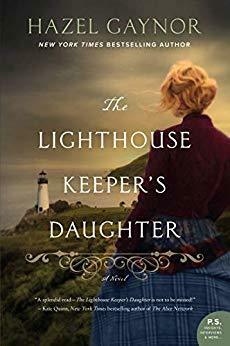 Hazel’s latest release The Lighthouse Keeper’s Daughter, is inspired by the true events surrounding the life of Victorian lighthouse keeper, Grace Darling, and the lives of female lighthouse keeper’s from the past 200 years. It is available now in bookshops and online,. Summer 2019 will see the publication of Meet Me In Monaco, her second collaboration with Heather Webb. The book is set against the back-drop of the iconic wedding of Grace Kelly and Prince Rainier. All Hazel’s novels have been received to critical-acclaim and have been translated into nine foreign languages and published in sixteen countries to date. Winners will be chosen November 30th.